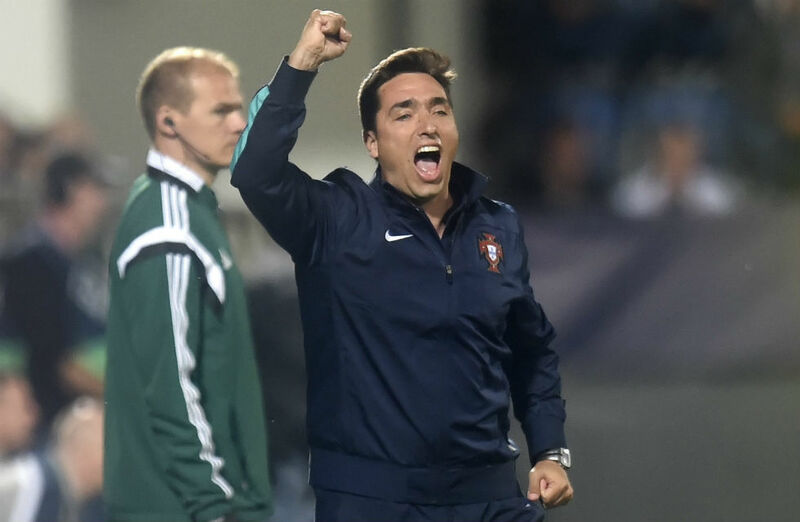 The Portuguese Under-21 team has accomplished what has not been accomplished by the team in over a decade: make it out of the group stage at a U-21 European Championship. Portugal has done just that, and with relative ease. Despite being up against England, Italy, and Sweden (the team who defeated France to reach the tournament), Portugal’s convincing performances have seen them through as winners of Group B. Let’s take a look back at how the group stage unfolded for Portugal, and what can be expected in tomorrow’s semi-final clash with Germany. Portugal’s first match of the tournament was against tournament-favorites England, who had some of Europe’s finest young talents among their ranks. The biggest name for England, by far, was Harry Kane, who scored 31 goals in all competitions this season for Tottenham Hotspur. Despite the pressure, Portugal edged England in what proved to be a very close game. João Mário grabbed the game’s only goal. After a win in their first match, Portugal faced an Italian team that hadn’t been as fortunate in their first match, where they lost to Sweden. Predictably, Italy seemed hungrier throughout the match, and were close to breaking the deadlock on a number of the occasions, but Portugal held on thanks to a brilliant individual performance from goalkeeper José Sá. In Portugal’s final match of the group stage, the team faced a Sweden side that had just been defeated by England in the previous match. To have any hope of progressing to the next round, Sweden needed at least a draw against Portugal. The match languished until mid-way through the second half, when Portuguese substitute Gonçalo Paciência broke the deadlock with a fine right-footed finish. Just as it was starting to look like Portugal would steal a win, Sweden substitute Simon Tibbling slotted the ball home to tie up the scores. His goal meant the match ended as a draw and that Sweden advanced to the semi-finals ahead of Italy. Looking forward, Portugal faces Germany tomorrow (June 27th) at 6:00 PM local time, 12:00 PM EST. Germany were among the favorites coming into the tournament, and their play in the group stage has done nothing to take away from that status. Led by captain Kevin Volland, the German team finished second in Group A one point behind group winners Denmark. Germany certainly poses a threat, which Portugal coach Rui Jorge has recognized. In addition to earning passage to the semi-finals of the U-21 Euro, Portugal also qualified for the 2016 Olympic Games in the process. This will be the first appearance by Portugal at the Olympic Games since 2004, when they finished dead last in Group D. That team contained the likes of Cristiano Ronaldo, Hugo Almeida, and Bosingwa.